It should not take the filing of a tax return or a death in the family to finally create order out of paper chaos so you are not forced to scramble in those critical circumstances. The chances of making costly errors are too great not to take some very simple, albeit essential, measures to get and stay organized all year long. Today you can begin a system of document disposition which will simplify your financial life for you and your family. It starts with knowing what you need to keep, for how long and where to keep them – beginning with the most disposable. We here at Asset Strategy Advisors provide an e-Vault Solution. 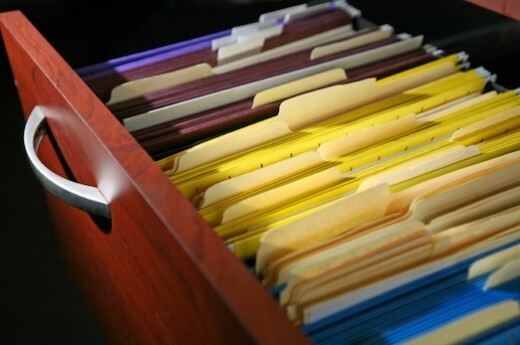 This technology provides a secure way to digitally store your important financial records. To learn more about this service please contact us at info@assetstrategyrc.com. *This content is developed from sources believed to be providing accurate information. The information in this material is not intended as tax or legal advice. It may not be used for the purpose of avoiding any federal tax penalties. Please consult legal or tax professionals for specific information regarding your individual situation. This material was developed and produced by Advisor Websites to provide information on a topic that may be of interest. The opinions expressed and material provided are for general information, and should not be considered a solicitation for the purchase or sale of any security.